Join us as we welcome Spring and Nowruz (New Year)! The 2019 Persian Parade is free and open to the public. The Iranian Festival of Fire! Chaharshanbeh Souri is a firejumping festival celebrated by Iranians around the world that signals the upcoming Nowruz (New Year). Bring the whole family for an evening celebrating this honored tradition. The evening includes dinner, music, dancing, firejumping and a host of fun activities for children of all ages. Donate To The Persian Parade! 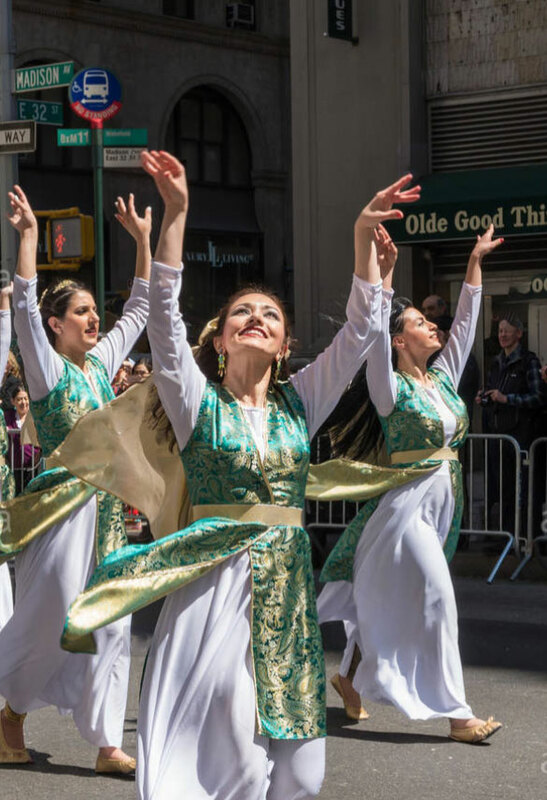 The annual New York Persian Parade is maintained by, and represents, a vast community of individuals dedicated to celebrating and maintaining our rich Persian/Iranian culture and heritage. Your donation will enable us to continue raising awareness of the rich historic and cultural contributions of the Persian/Iranian people. Your pledge plays an important role in preserving this historic event for future generations of Persian-Iranian Americans.